ХХXІI International youth team competition on the Cup “Golden dame” was held from 4 to 9 January 2013 in Lvov (Ukraine). 20 teams from 6 countries (Belarus, Latvia, Lithuania, Moldova, Russia, Ukraine) participated in the competition. Team-winners: 1st place – RTSAP-1 (Minsk. 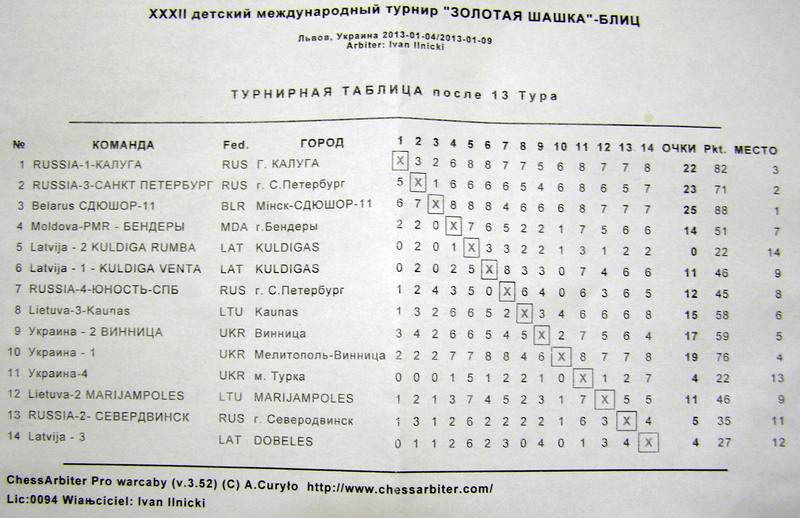 Belarus), 2nd place – Kaluga (Russia), 3rd place – SDUSHOR-11 (Minsk, Belarus). Composition of the team – 7 people: 3 boys and a girl born in 1997 and younger, two reserve players, coach – representative. January 6 – tour of the city, 4-5 rounds, the conference for coaches. January 7 – 6-7 rounds, draughts relay, small sports games, dance. January 8 – 8-9 rounds, awards, closing ctremony. January 9 – departure of teams. 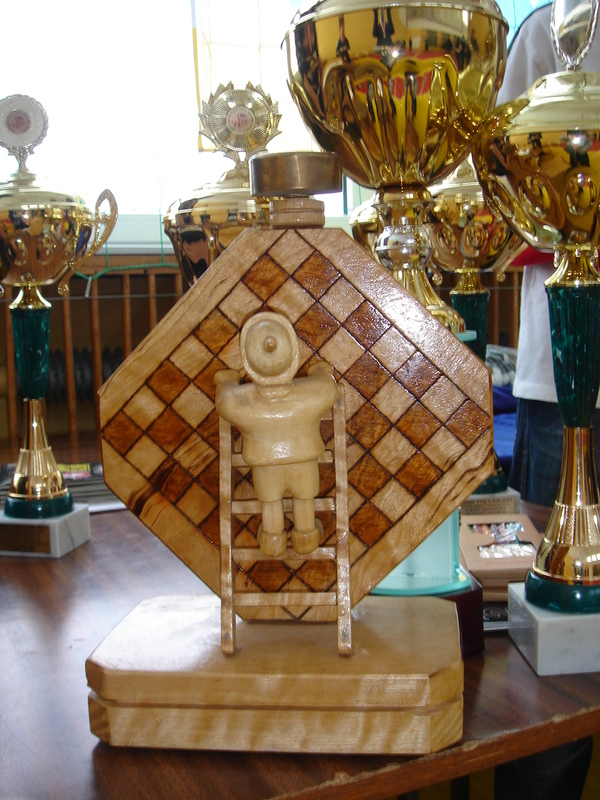 Time control in the main tournament is 45 minutes till the end of the game, in the blitz and draughts relay – 5 minutes. 3rd place – team SDUSHOR-11 (Minsk, Belarus).